True to its minimalist roots, the Dia Art Foundation’s fundraisers are no muss or fuss affairs. If they betray some of the usual gala trappings—speeches, food, Prosecco—there are no embarrassing auctions, nor do patrons figure among the honorees. And if they come with any swag, it’s unlikely to be a gift card from Starbucks when a pocketsize Dia book will do. The foundation’s 4 November Fall Night at Cedar Lake pretty much stuck to the script, honouring for the second year in a row a deceased artist, Nancy Holt. Her “telescopic” works from 1971 are currently the subject of a spare exhibition in one of Dia’s two gallery spaces in Chelsea. (A suite of paintings by Blinky Palermo is in the other.) Both shows were open to guests before dinner. Holt, who was married to the artist Robert Smithson (practically a Dia deity), created Sun Tunnels, a heavenly piece of land art in Utah’s Bonneville Salt Flats that was recently acquired by Dia. Her indoor “telescopes” are not the kind with lenses. 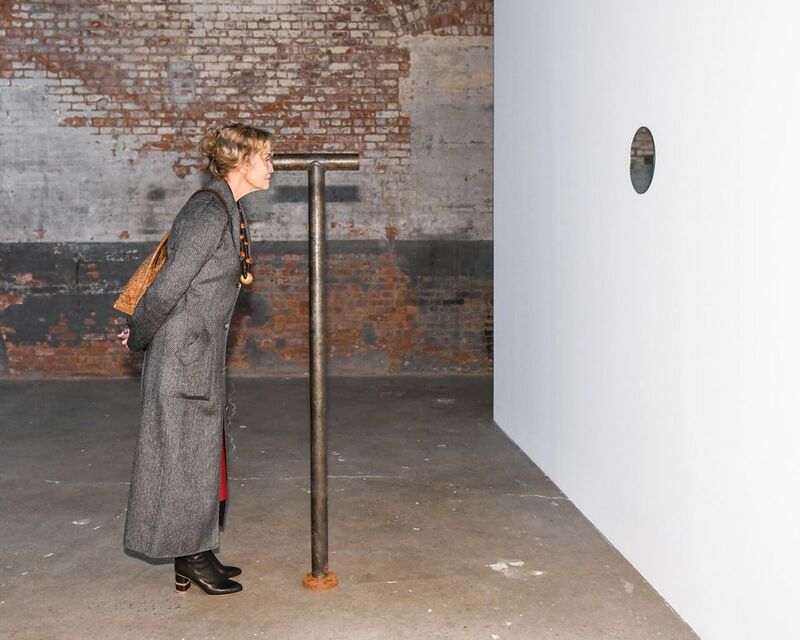 They’re short lengths of hollow black pipes mounted on longer ones of varying heights and positioned so that gallery-goers peering through the top pipes at mirrored discs placed up and down the walls see an approximation of the sun at different points of its daily rise and fall. Translation: out of the simplest of means, magic! Dia always stocks the long tables at its galas with more artists than most other fundraisers. “Without the artists, there would be no point in being here,” Dia’s director Jessica Morgan said. Their seating here seemed generational. Dorothea Rockbourne, Barbara Kruger, Judith Barry, James Welling and Barbara Bloom, for example, were all at one table, with Carl Andre nearby. 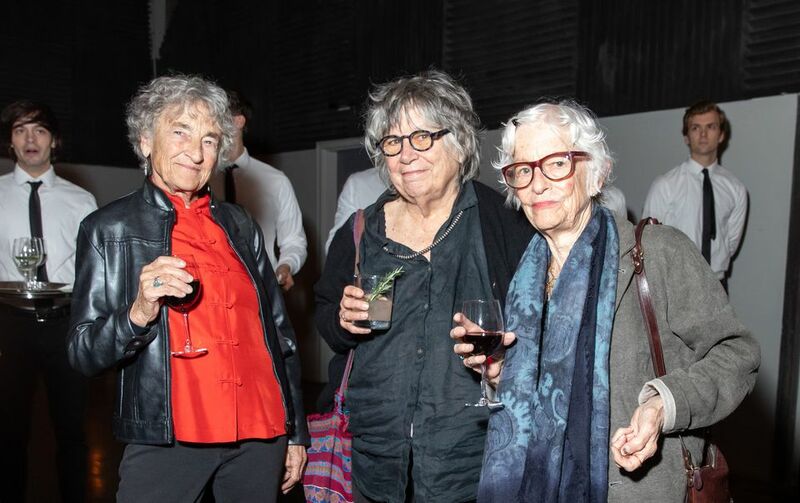 The room was otherwise so packed with dealers and donors that the faces of Joan Jonas, Terry Winters, Amy Sillman and Louise Lawler, for example, virtually disappeared from view. So, the timing was excellent. But then, art at Dia is all about time, or rather duration. Exhibitions remain on view for a year. Walter de Maria’s pungent New York Earth Room—installed in a SoHo loft since 1977—is an institution by itself. Morgan, who has brought a number of works by women (including Holt's) into a permanent collection that had been sorely lacking them, also applauded the art-attentive fashion designer, Raf Simons, the creative director of Calvin Klein. The label stepped up to present Andy Warhol’s monumental Shadows in the company’s garment centre showroom. Dia’s cofounder, the dealer Heiner Friedrich, introduced Shadows to the world in 1978. Warhol called it his biggest abstraction, “one painting in 83 parts”, though actually it consists of 102 canvases hung edge-to-edge to display the same image in different colour combinations. When Dia:Beacon first opened, Shadows looked magnificent under the diffuse, natural light of a huge, open space tailor-made for it. At Calvin Klein, where the canvases are assembled under harsh LED lights and are partly obscured by columns, it’s impossible to experience the true glory of this Warholian marvel. But, hey, at least it’s in Manhattan—until February, when Shadows returns to Beacon. Still, Simons and company paid for the paintings’ needed restoration, so the ovation he received was well deserved. That left the National Gallery curator James Meyer to close out the evening with a tribute to Holt’s art, delivered with such poetic flair and feeling that he left everyone wanting more.